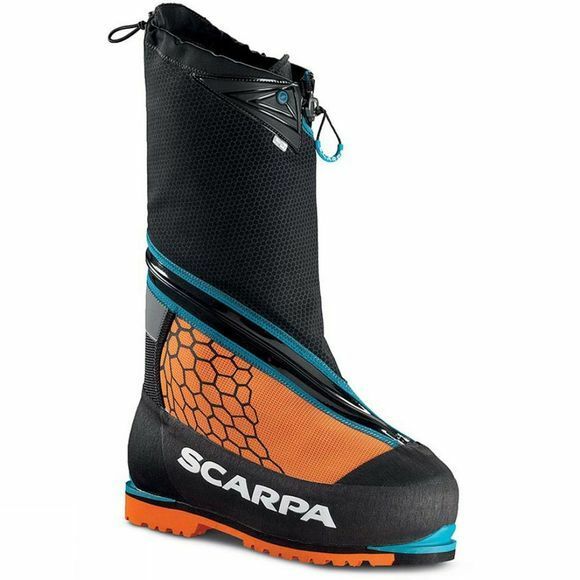 The Phantom 8000 High Altitude Boot from Scarpa is warm, lightweight and durable. It has been designed for extreme adventures in the highest mountains and offers just about as much sensitivity one can get from such an advanced boot. 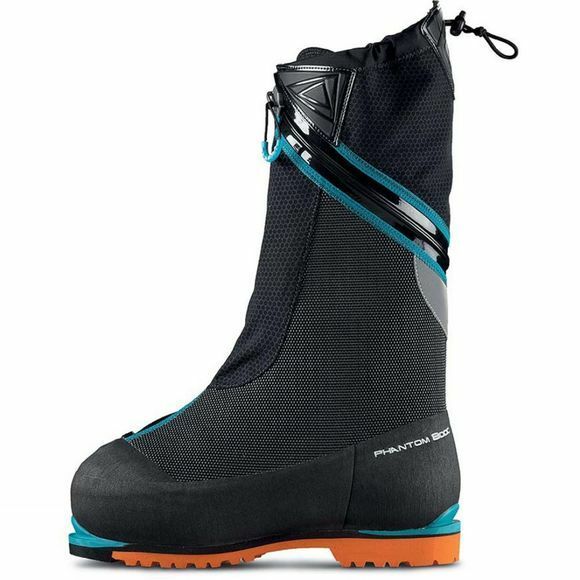 The OutDry waterproof lining and reconfigured Flexseal waterproof zip on the upper seals out the weather while the Primaloft insulation from the inner boot and the reflective aluminium combined with the Cocona footbed inside aids moisture management and excellent warmth and comfort. The integrated gaiter features a combination of Schoeller, Cordura and Kevlar materials to ensure the most optimum blend of flex and protection.